September 07, 2012 in "The Stella Collection"
Left column, top to bottom: Deep Sea and Peacock; Frost and Seabreeze; Lilac and Dove. Center column, top to bottom: Sand and Gold; Shadow and Atlantic (the original pairing); Pink Grapefruit and Sunset; Stormy and Shadow. Right column, top to bottom; Spearmint and Lemongrass; Garnet and Velvet; Brick and Chestnut. 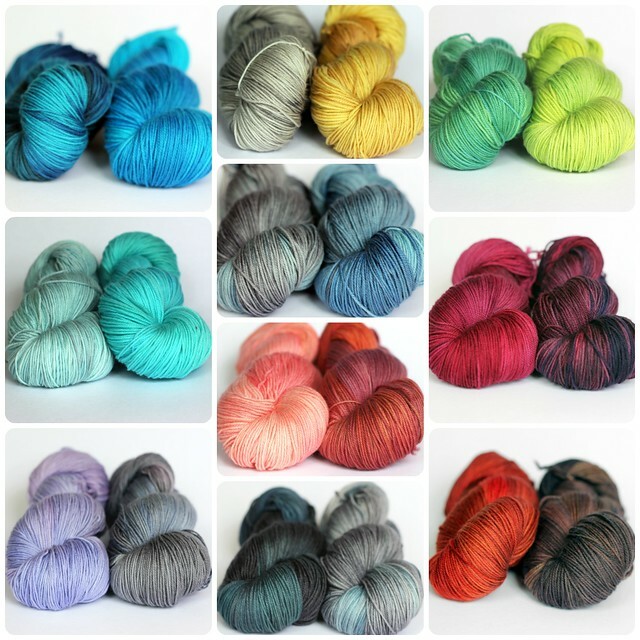 There are of course a million other potential colour pairings that would all make gorgeous Adhara Shawls, but hopefully this is enough to get you pointed in the right direction. 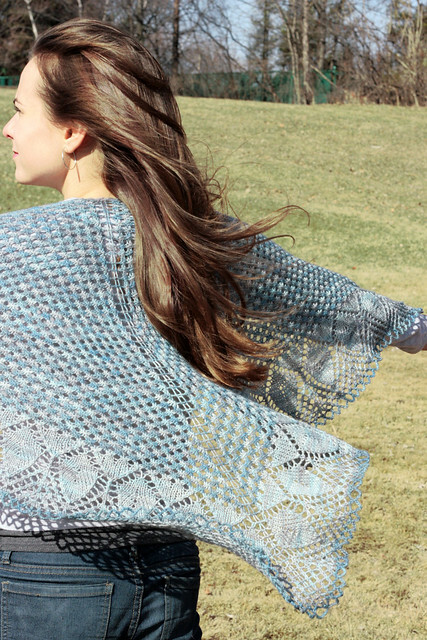 A single colour Adhara would also be stunning, I'm considering knitting one in my lace weight yarn myself.